In a previous post I noted that the US will now allow imports of goods and services produced by Cuban entrepreneurs who are independent of the government. 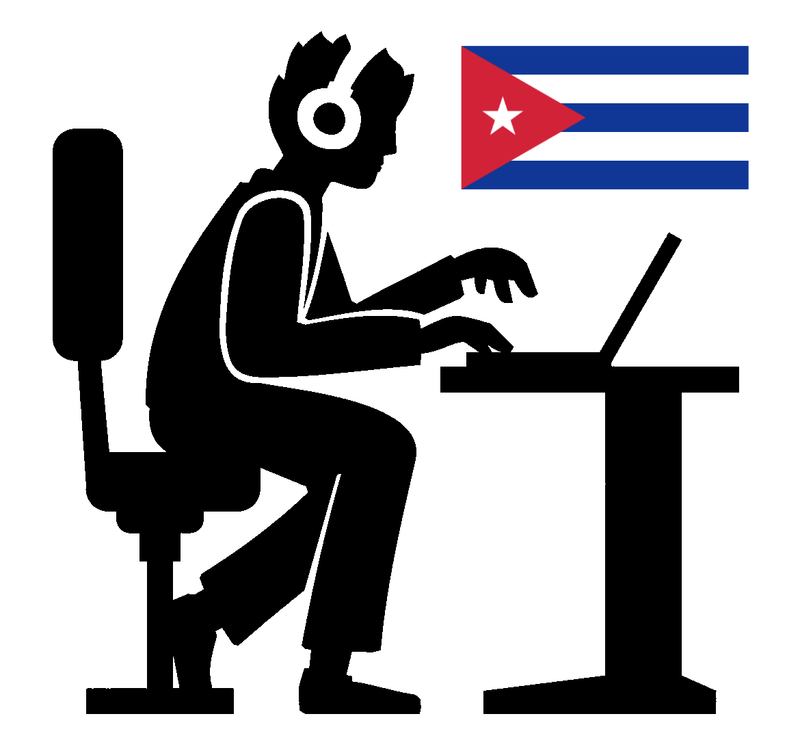 It turns out that the Cuban government has a list of 201 jobs that are authorized for self-employment and the list includes Computer Programmer -- leading me to wonder if we would be importing Cuban software and software services. Another job that caught my eye was Retail Telecommunication Agent, which got be thinking about operators of local Internet-access businesses in rural areas -- perhaps using satellite links where terrestrial connectivity is not available. 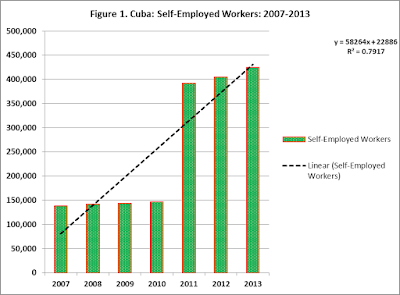 But what of the other 199 jobs that are eligible for self-employment in Cuba -- might there be other exports? It turns out that the many of the jobs are providing local service -- small restaurant owner, nanny, barber etc. Others may produce small items which could be exported like ceramic pots or costume jewelry, but software was the only interesting exportable item I found. But, the list is interesting in its own right, independent of tech or other exports. It is funny -- goofy. I got a kick out of reading it. On a more serious note, it says something about Cuban bureaucracy and the desire to micro-manage. It would have been fun to watch the process by which this list was defined. We see frequent, optimistic reference to Cuba's desire to liberalize and move toward a market economy, but dealing with a government that would attempt to create such a list would be difficult. 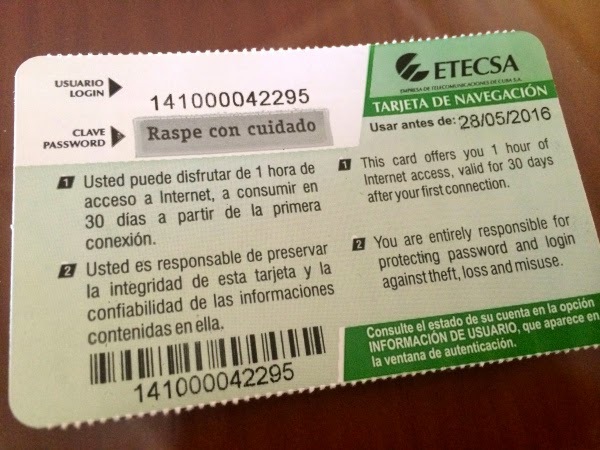 For a little more insight into the frustration one experiences with bureaucracy in using the Internet in Havana, read this account by a visiting university student. It reminds me of the old Soviet Union saying "we pretend to work and they pretend to pay us." The Cuban Internet faces cultural as well as political and economic hurdles. * This list was taken from an appendix in a very interesting report -- "Soft Landing in Cuba? Emerging Entrepreneurs and Middle Classes" by Richard Feinberg. The list is dated September 26, 2013 and may have changed subsequently. 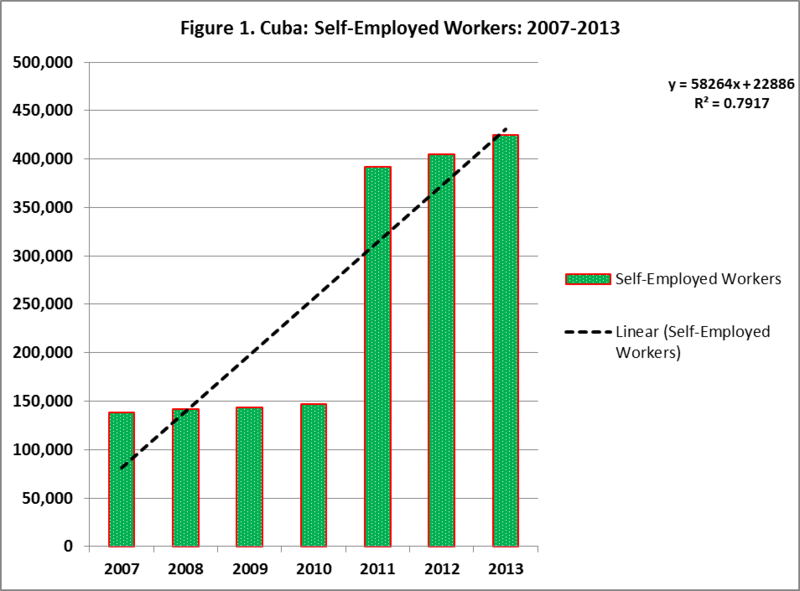 Cuban self employment is rising, but, as we have seen, the job categories are mostly domestic service jobs.